As a followup to our recent post about the Champs Elysees mini racks, I though I would make a post to show how it can actually be used. 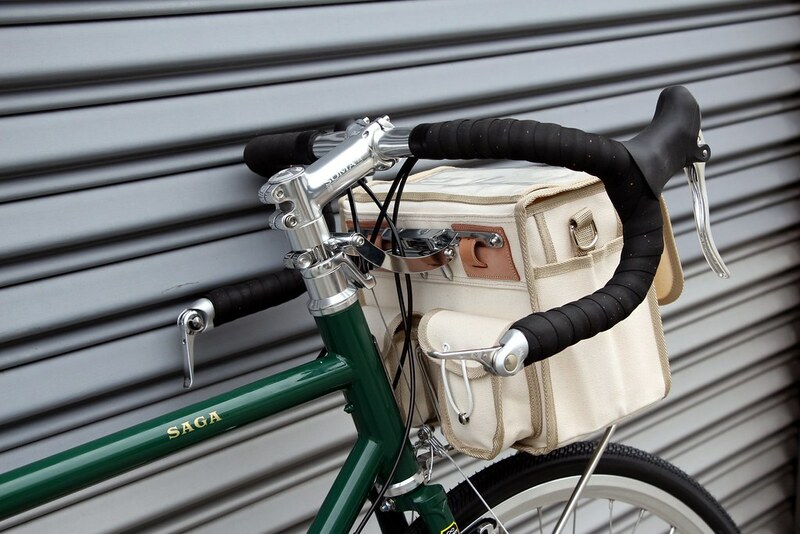 Here you see the Saga complete bike equipped with the Ostrich F-104N handlebar bag, a smaller version of their best selling randonneur bag. These are slightly narrower which is ideal for bikes with higher trail geometry. 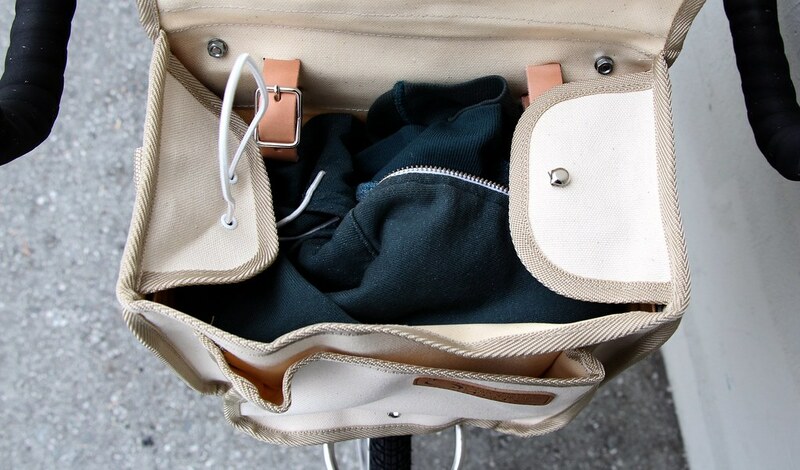 The bag can either be attached directly to the bars using the included leather straps or to a decaleur as pictured. When mounting the bag directly to the bars or to a stem mounted decaleur you need to make sure the bars are set at the proper height so that the bag sits low enough to be supported by the rack platform. 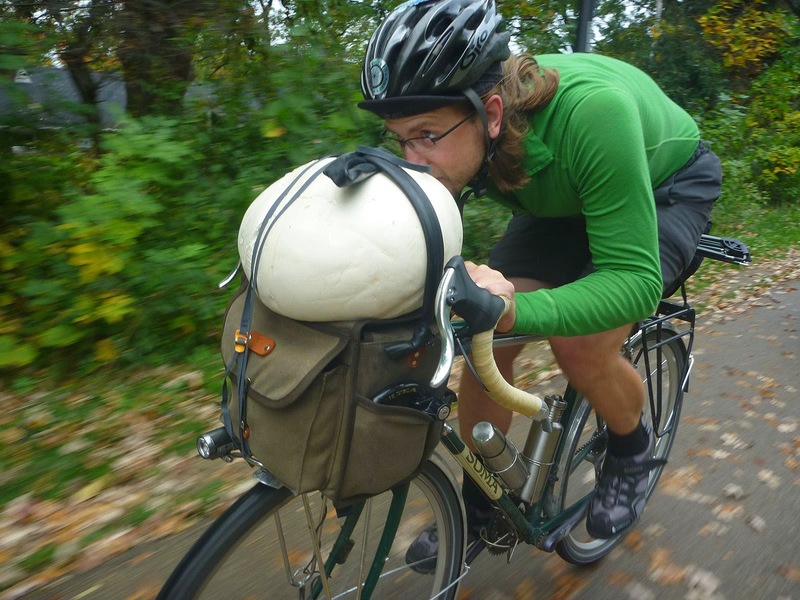 For larger bikes you'll need a taller bag to make this work. The Tanaka Decaleur pictured here allows for vertical adjustment to fit different size head tubes and bags. 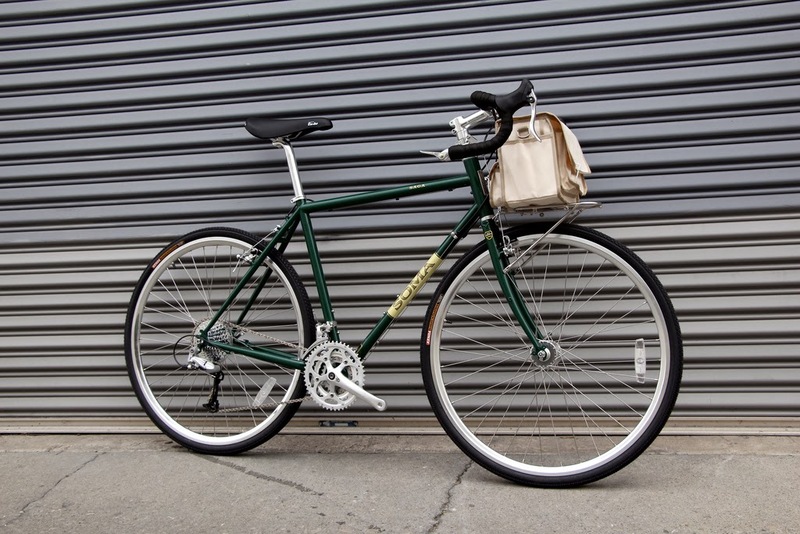 By rotating the cylinder back as pictured, you can increase the tension on the bracket pins to keep the bag from jumping up when riding over unpaved or poorly maintained roads. When the bag is lifted off the rack the tension is released and the bracket slides smoothly free of the cylinder. 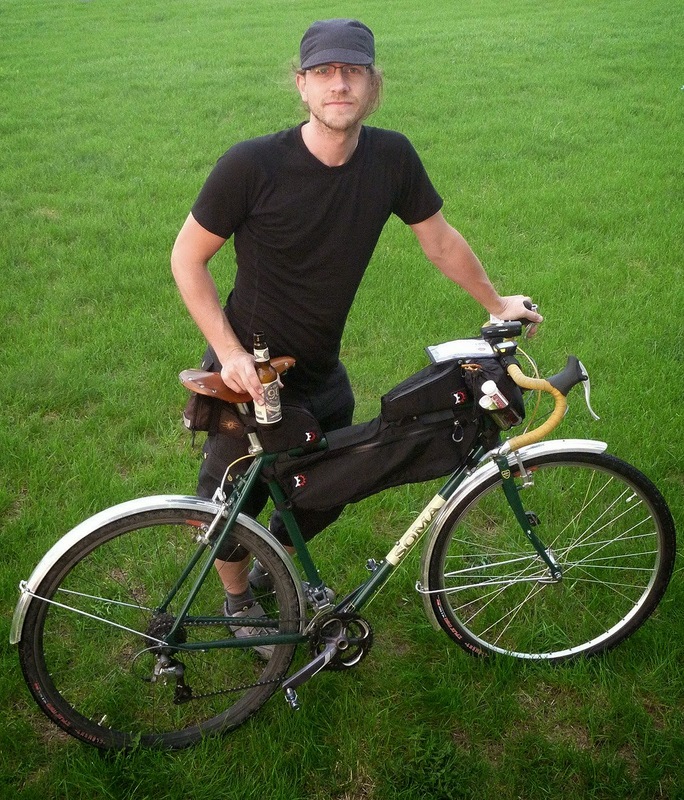 For more technical offroad riding it's wise to strap the bag to the decaleur and the rack. 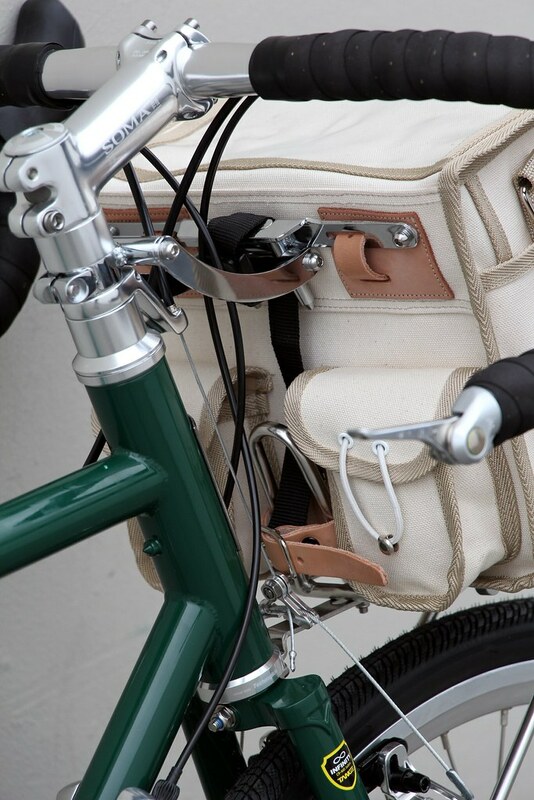 The Ostrich bags include a nylon quick release strap and an additional leather strap like the ones for the handlebars. I recommend using the quick release around the bracket and the leather around the rack tombstone. The bag can also be mounted on the bottom, but mounting it to the tombstone works better to prevent the bag from bouncing when the bag is empty or lightly loaded. An issue I've encounter with some steerer tube mounted decaleurs is that they have a tendency to get pulled to the side by the weight of the bag. The Tanaka Decaleur addresses this by using a locking headset spacer to clamp it in place. The design is based on a seatpost clamp, so it's very secure. 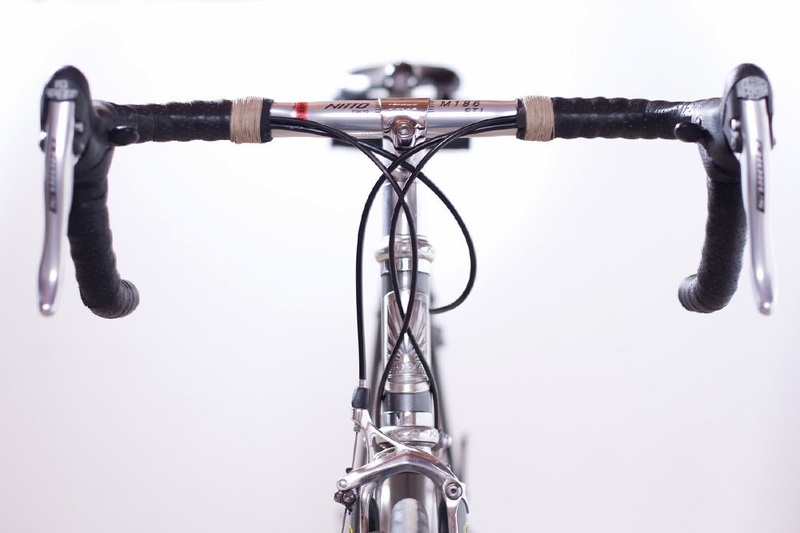 They can also be mounted to bikes with 1" thread less steer tubes or quill stems using the appropriate width shims. 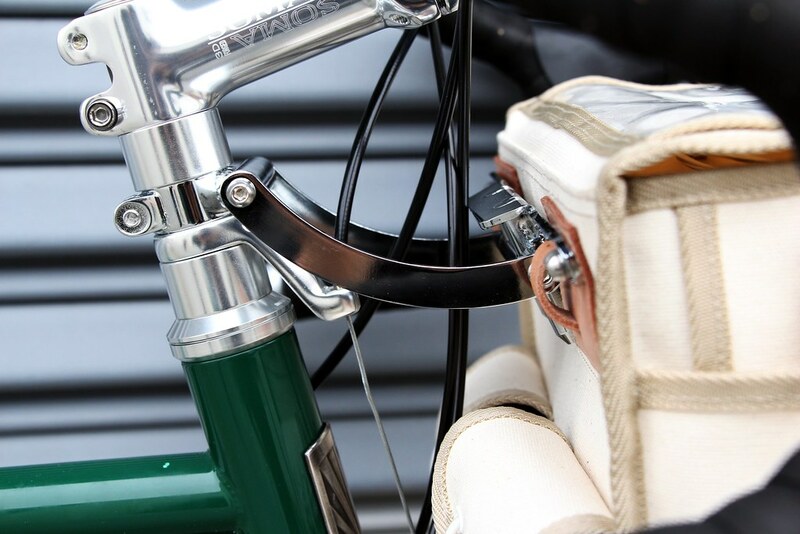 The 104N comes pre drilled for a decaleur bracket, but the Tanaka Decaleurs also allow the bag to be attached to the bracket with the handlebar straps for added security. The Ostrich bags have an internal metal brace which the straps loop around. 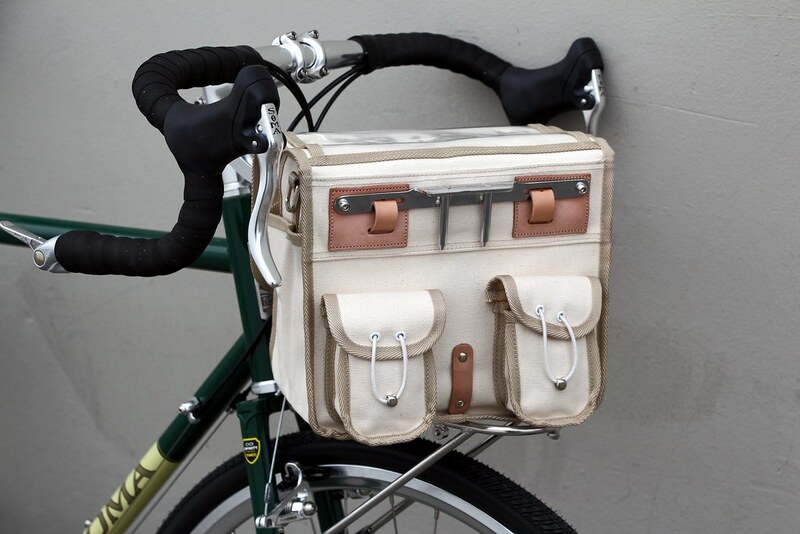 We've tried these decaleurs with a few different bags including the Swift Industries Randonneur bags, and we've been very satisfied with their performance. As with all racks, it's important to check that all mounting hardware is tight before every ride. Installing the mounting screws using blue thread locker is a good policy. Also remember not to over load your handlebar bag to avoid wheel flop at slow speeds. 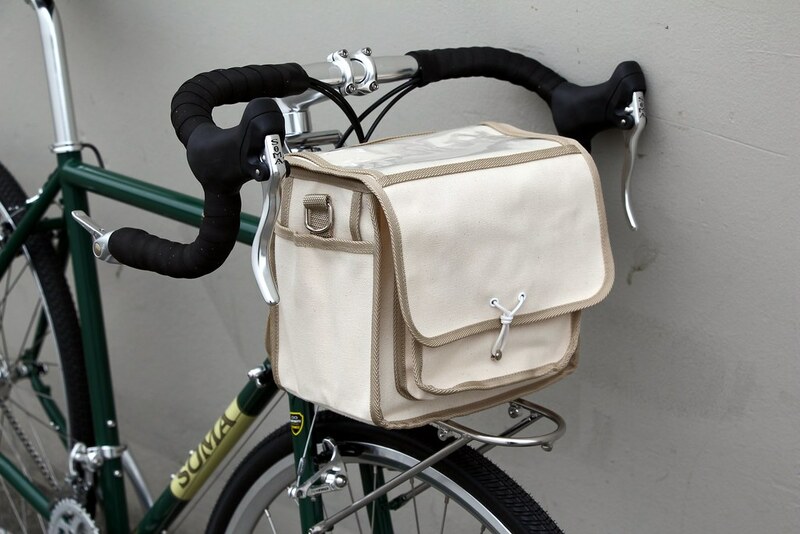 Handlebar bags should always be secured either to the handlebars or a decaleur in addition to the rack. For heavy loads a Pourteur style rack such as the Soma or Gamoh models will be more stable, and distribute the weight across a larger platform. 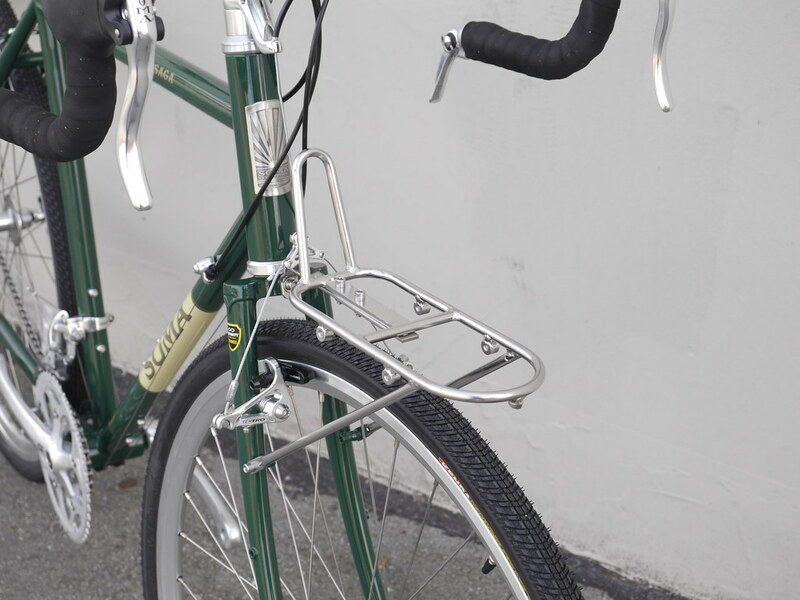 Another excellent option is the Wald 257GB basket rack which can be mounted to the handlebars and axles of most bikes. When it rains it pours! But that's cool, we've got fenders. Here's another awesome Sage build sent in by Steve. Hope your wife is stoked dude! That build is wicked! A better picture of Steve's Smoothie. And here he is with his ES. Gotta love those fenders! 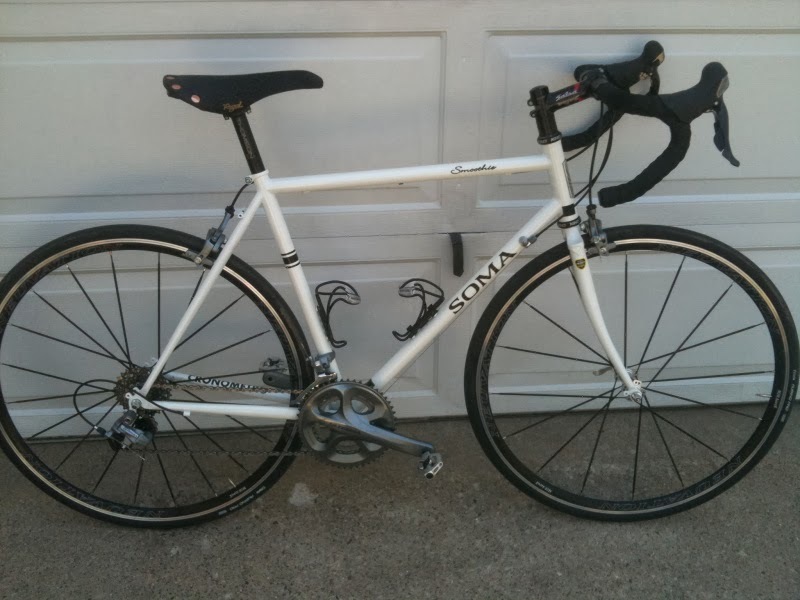 Grant sent in some great shots of his Soma collection. That's 3 by my count. Nice work. Keep em coming! Many of you probably haven't seen these yet. 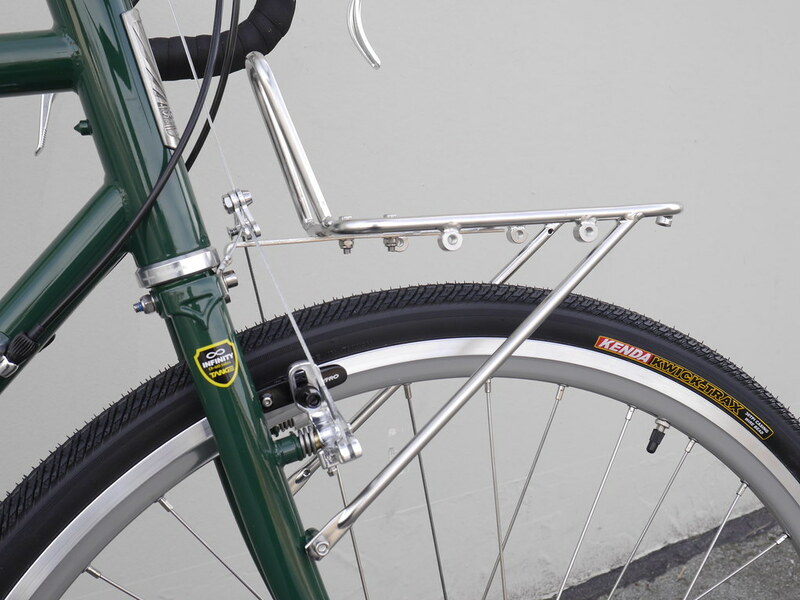 It's a smaller version of the classic stainless front rack we introduced last year, designed to support a handlebar bag or small basket. They mount to standard Nitto style eyelets, which come on a number of models from Rivendell, Rawland, Soma and many Japanese bicycles. 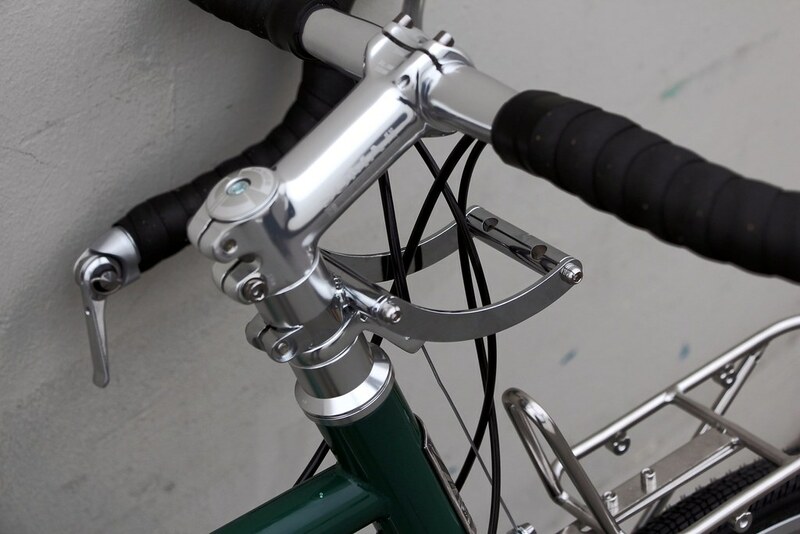 P-clamps are also included for forks without braze-ons. The platform angle is adjustable so you can keep it level on bikes with different head tube angles. 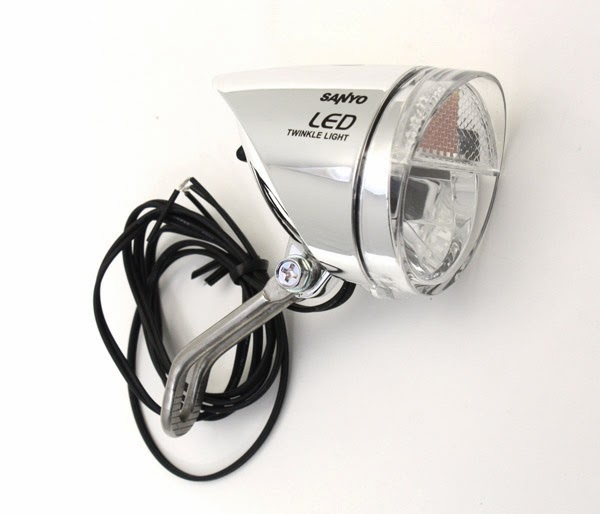 There are various mounting points for a flashlight or dynamo headlight. With many Dynamo lights it is necessary to orient the light upright so that the beam pattern is not distorted. 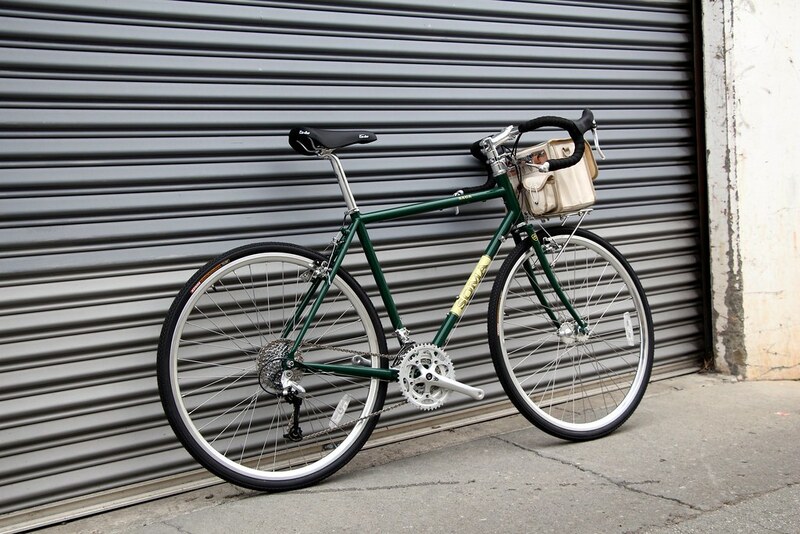 For optimal positioning the light should be mounted in front of the bag/tire to avoid casting a shadow on the road. 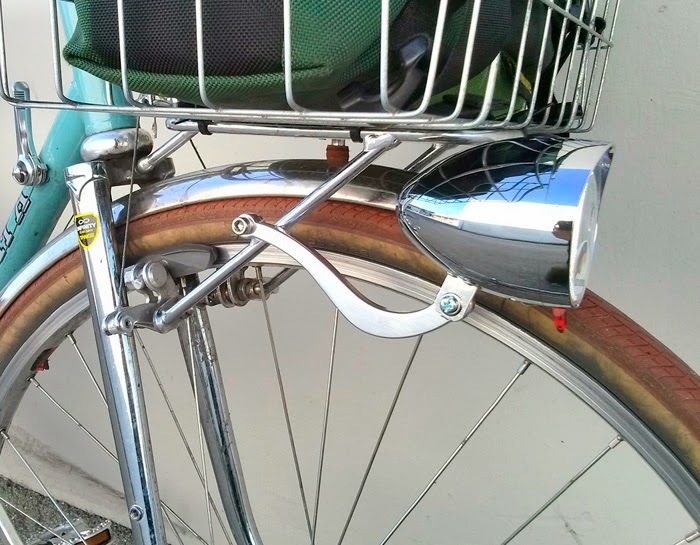 This can be achieved a number of different ways, either by attaching the light bracket to the forward fender mount, with a M.A.P. 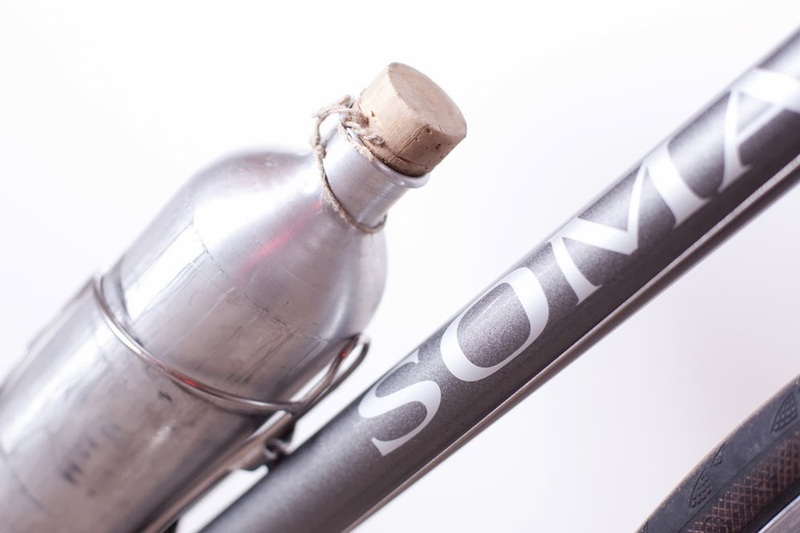 fender bracket, or a Soma Wingmann mounted to either side. A disc brake spacer can be used to keep the fender blade in line with the tire when mounting directly to the forward tip. 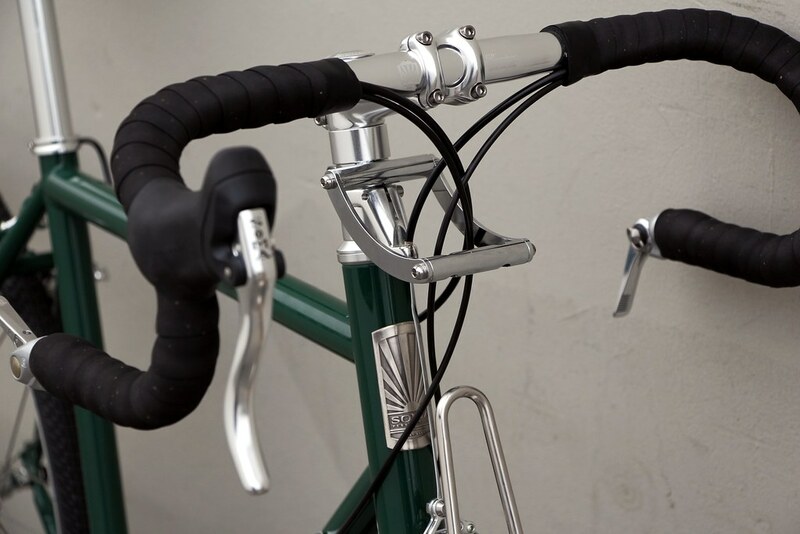 If your fork only has eyelets at the dropouts, or you want to carry heavier loads, the full size Champs Elysees racks are another good option. 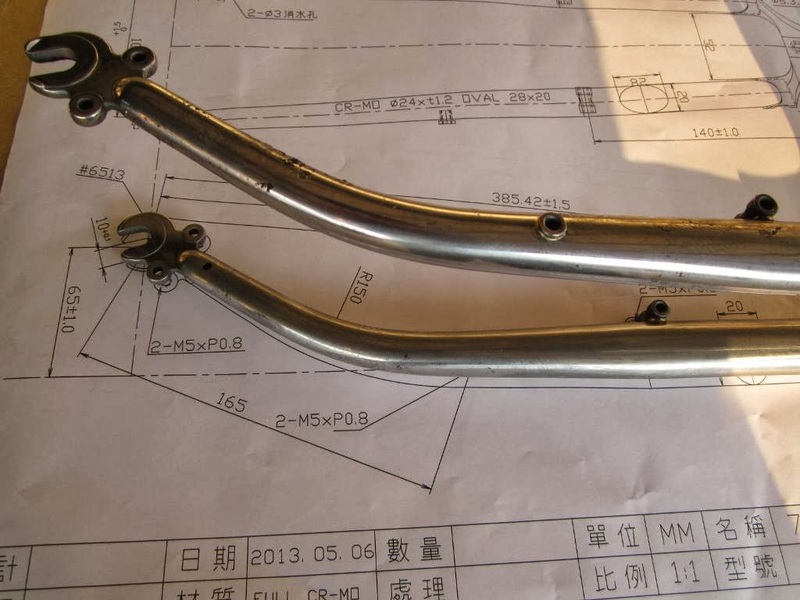 For those of you who've been waiting for news about the 65mm offset forks, they are now in production. We expect to receive the first batch in the next couple months. Hey there, I work at the Bicycle Wheel in Chico CA and I just finished building up a Soma B-side. Figured I would send some pics. Weighs in at 27 lbs, without a drop of carbon. I love this bike. 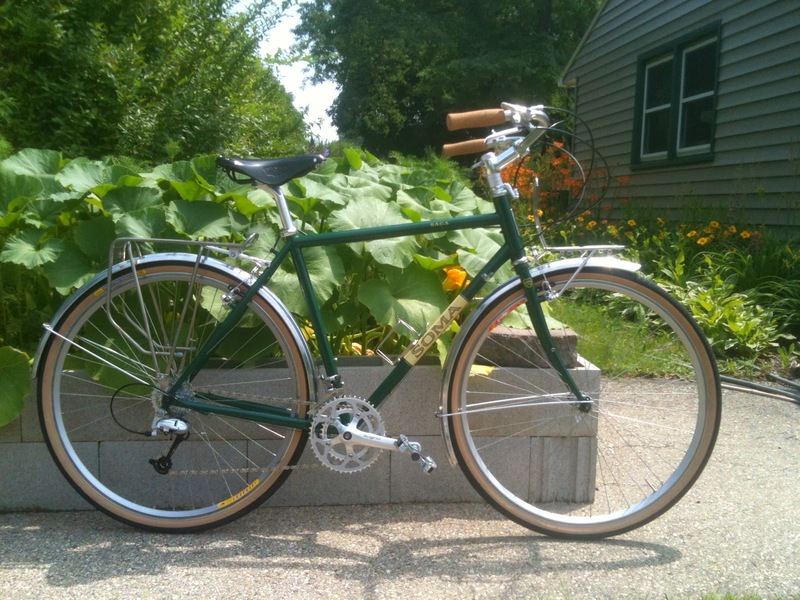 We are dang proud to be Bicycle SPACE's Bike of the Week. Bicycle Space is a bike shop in Washington D.C. Though they are not even 5 years old, they are one of the biggest Brooks dealers in the country. 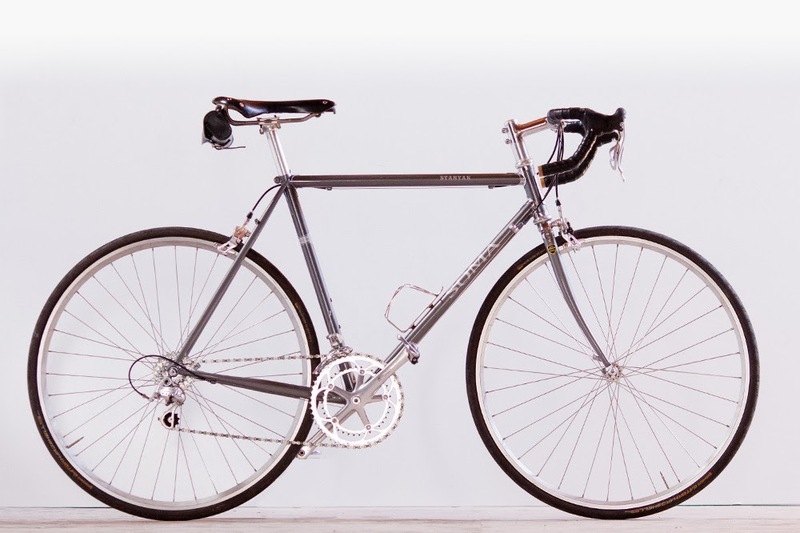 Erik, the co-owner, built up the Stanyan for himself (our lugged road sport frame set) with a smattering of modern, but mostly 80's era parts off bikes he's owned in the past. Check out the whole interesting story on their blog.